During the war, they dreamed of home. Now that it was over, many returning veterans found that trying to get a home was a more like a nightmare. 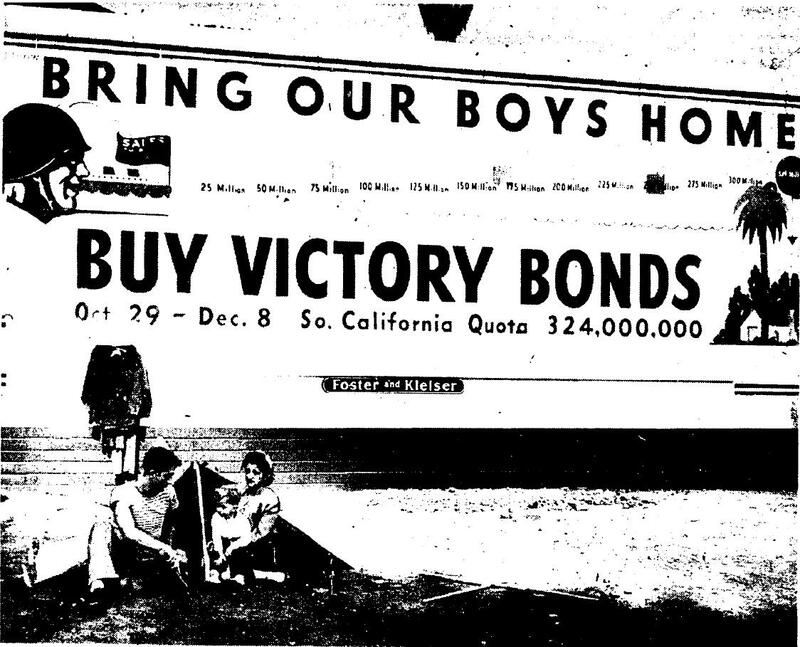 Where to house all the returning war veterans and their families was a national issue in late 1945 and late 1946, but in Los Angeles it was especially acute, as even federal housing authorities acknowledged. In addition to those who had been residents before the war, ex-serviceman who’d been stationed nearby or merely passed thorough on their way to or from the Pacific theater, were also opting to make Los Angeles their new home, as did many of the defense industry workers who’d arriving during the war. Then there were Japanese Americans, veteran and civilians alike, who were relocated to internment camps during the war under Executive Order 9066, and now on their return had no place to live. Federal, State and local housing authorities struggled to find adequate temporary shelter for all, but the demand far exceeded the supply of available units. David Mizrahi, a discharged Marine, camped out in Pershing Square with his family after months of failing to find anywhere else to live. As a result, Blair McPhail, of the Tulsa-based Spartan Aircraft Co., offered the Mizrahis his suite in the swank Town House Hotel on Wilshire Boulevard. Meanwhile, Spartan, which was augmenting its plane production by manufacturing house trailers, dispatched an experimental $12,000 model for the family’s temporary use. In the resulting publicity, the family was able to secure more permanent housing after all, and the trailer went to Army veteran Francis Wood, selected from thousands of homeless vets on file with the L.A. area Veteran’s Service Center. Company president J. Paul Getty presented it to the Wood family personally. 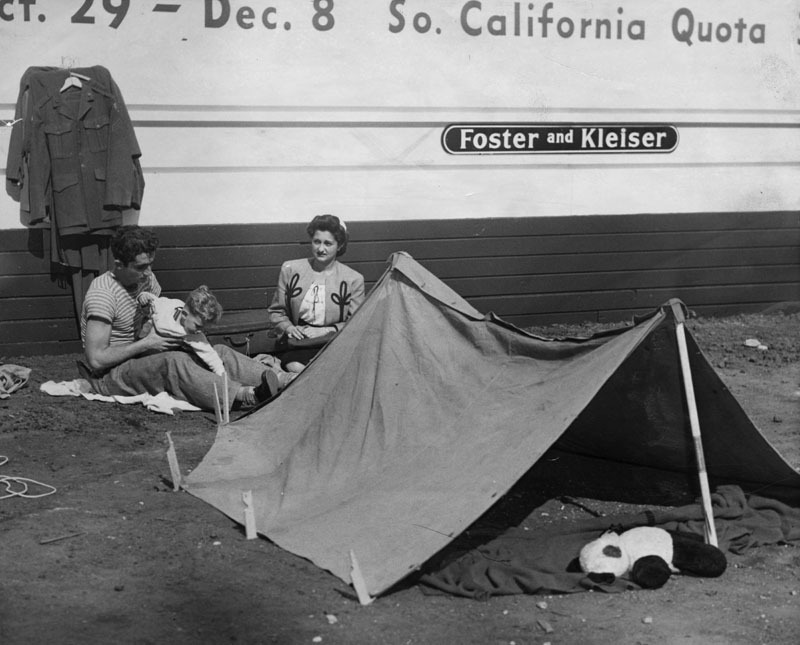 Photo of the Mizrahi family camped out in Pershing Square under a Buy War Bonds billboard, ironically touting the number of returned war veterans. 11/2/1945. 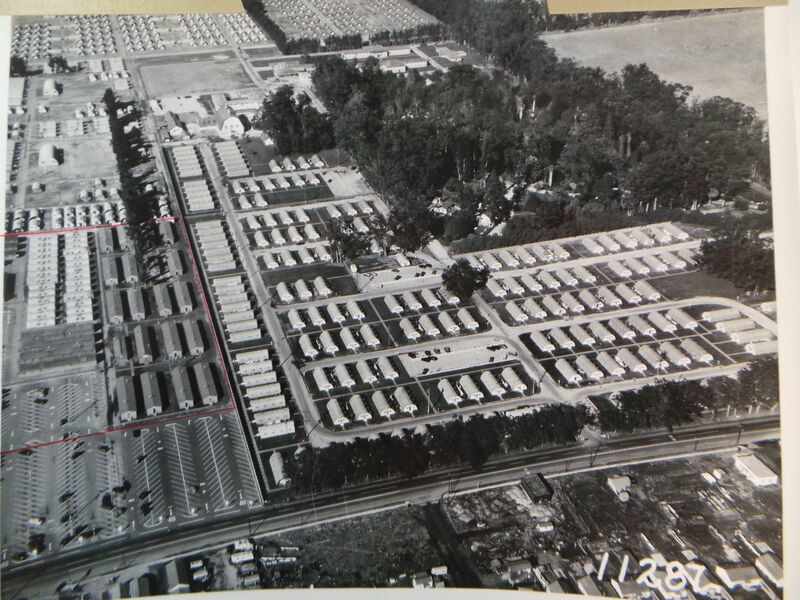 At the same time elsewhere, surplus trailers were being put into use by the Federal Housing Authority. 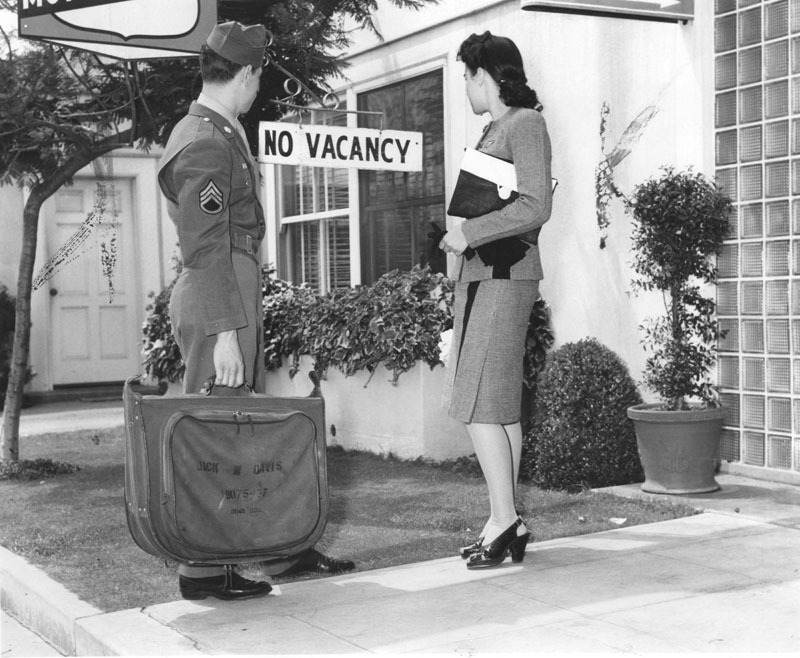 On November 10, 1945, the first 40 (of 125) veterans and their families moved into Lumina Park Trailer Court, 20210 Western Avenue in Torrance. The park had been established two years earlier for defense workers of a now closed aluminum company. It was estimated that 6000 housing units were needed for returning vets just in the Torrance area. Additional trailer parks were approved for Alhambra, Burbank, Glendale, and other outlying areas. Larger emergency housing projects using surplus war housing, like Basilone Homes, and Rodger Young Village would soon get underway. 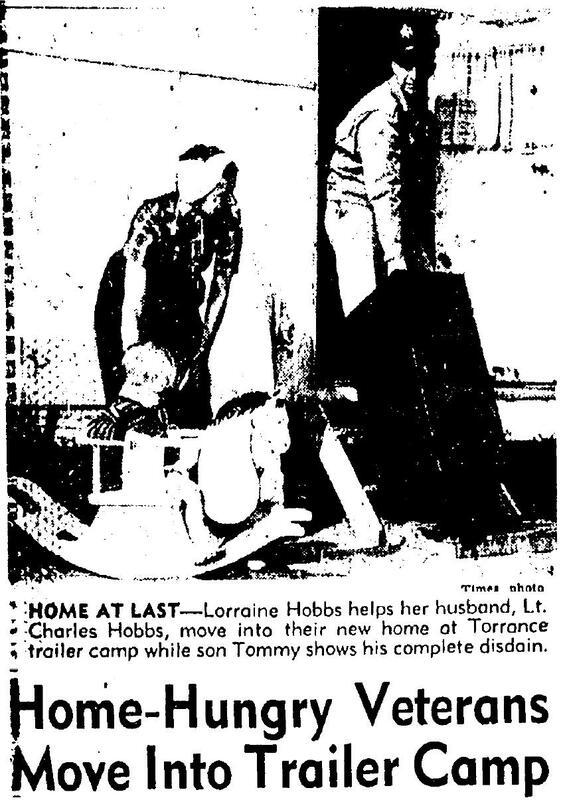 Charles Hobbs, an Army Air Force veteran, moves his family into a Lumina Park trailer in Torrance. November 1945. Rent was $24 a month. 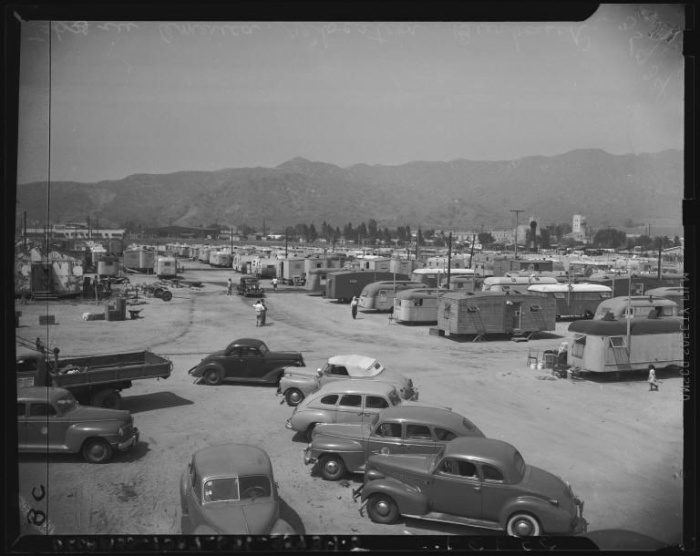 In May 1946, the War Relocation Authority sent more than 300 returning Japanese Americans to a still unfinished trailer camp at Burbank. UCLA. 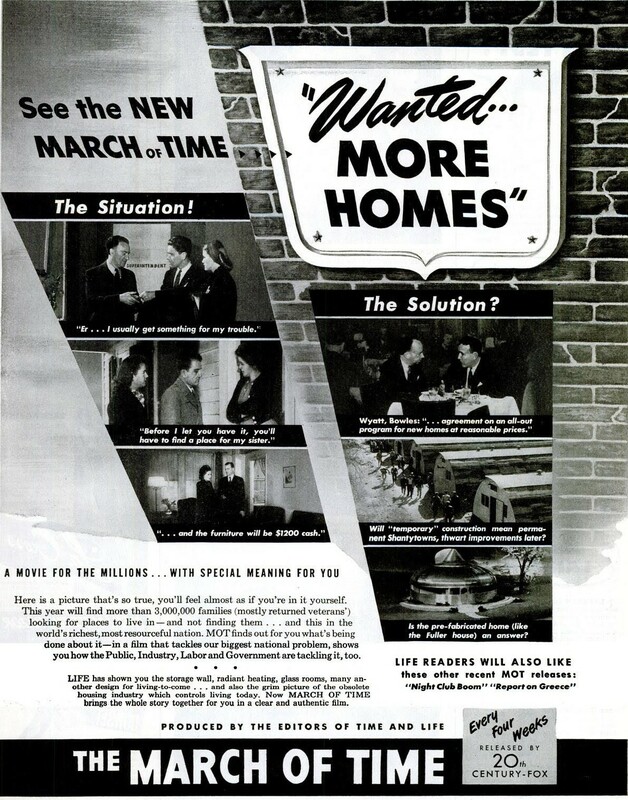 The Federal Housing Authority’s plans to provide affordable housing for returning war veterans and their families was documented in the March of Time short subject Wanted: More Homes (1946). “The Number 1 Topic of the Day!” Wanted: More Homes debuted in Los Angeles area theaters in May 1946, playing with the film noir The Dark Corner. 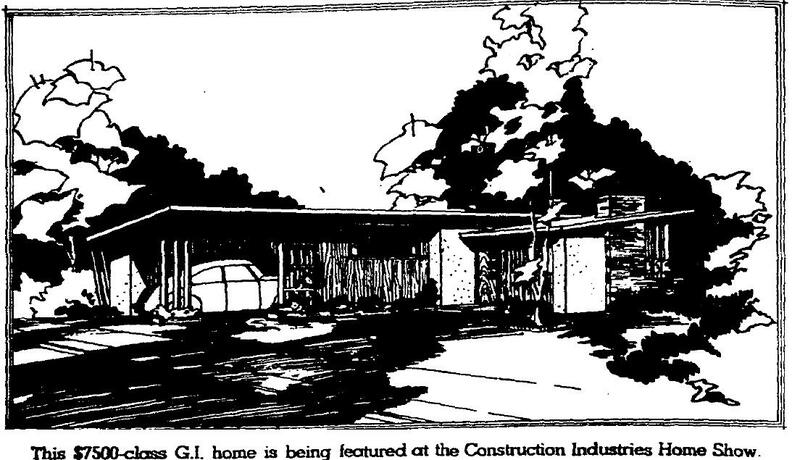 In the private sector, developer Fritz Burns, whose model Postwar house would provide inspiration on Wilshire Boulevard throughout 1946, teamed up with industrialist Henry Kaiser to build affordable homes around L.A.-based Art & Architecture Magazine teamed up with modern architects to solve the affordable housing problem, though only one of its “Case Study” houses was built in 1946. Speed of construction was hindered by a severe shortage of much-needed materials such as lumber. In March 1946, the Civilian Production Administration put a “freeze order” on non-essential construction in order to prioritize supplies for affordable veteran’s housing. New housing developments went up as quickly as possible. 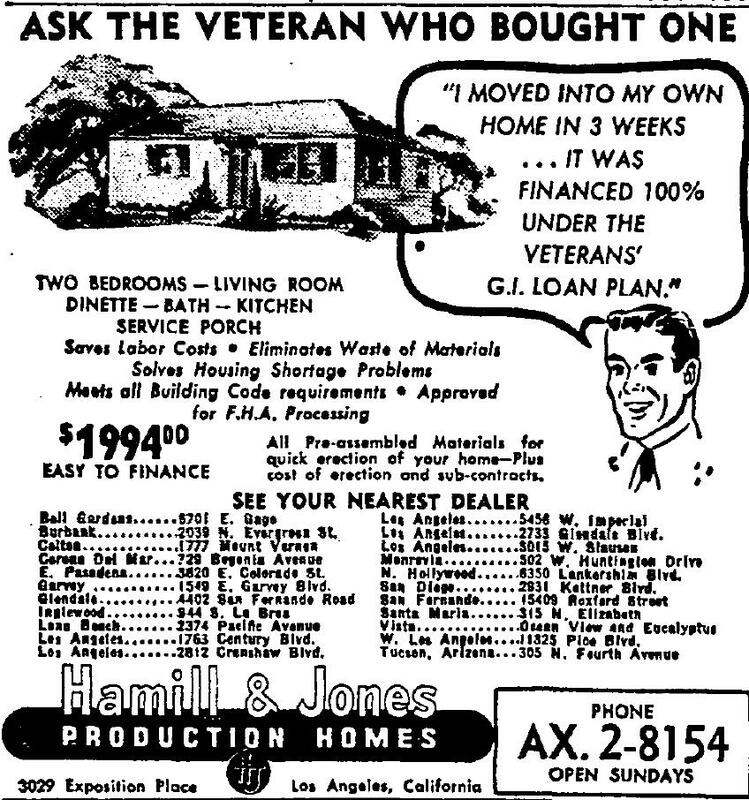 Financing was available to war veterans who qualified for a G.I. loan. But to get a loan, he had to have a job. And to have a job, he had to have a place to live. If you were a veteran with an income of $250 a month or more you might qualify for a G.I. 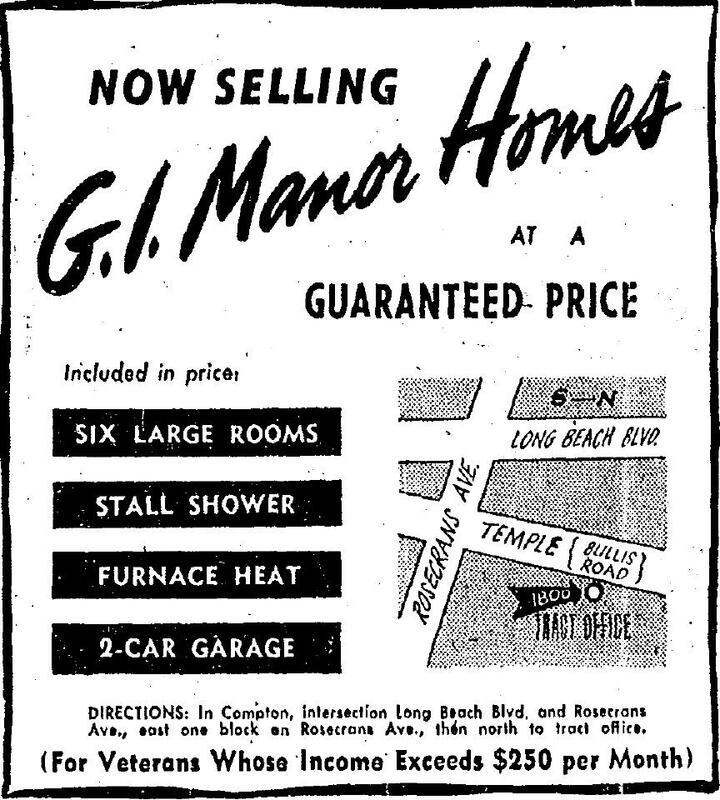 Manor Home in Compton, available at a “guaranteed price” which is cleverly not mentioned. 10/27/1946. The Construction Industries Home Show held an exhibition at the Pan Pacific Auditorium from July 12 to July 21, 1946. In all, more than 160,000 visitors would attend. 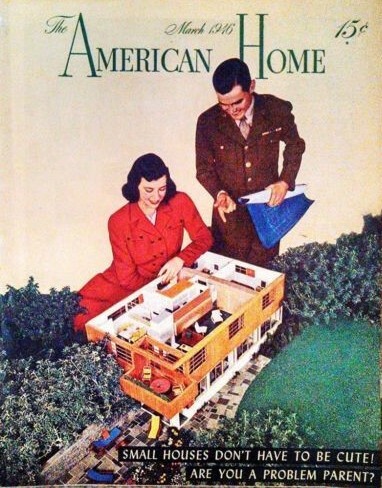 The most popular exhibits were the full-scale “GI Model Homes,” a modern style and a more traditional California ranch, which were raffled off to veterans at the show’s close. The $7500 modern GI model home. 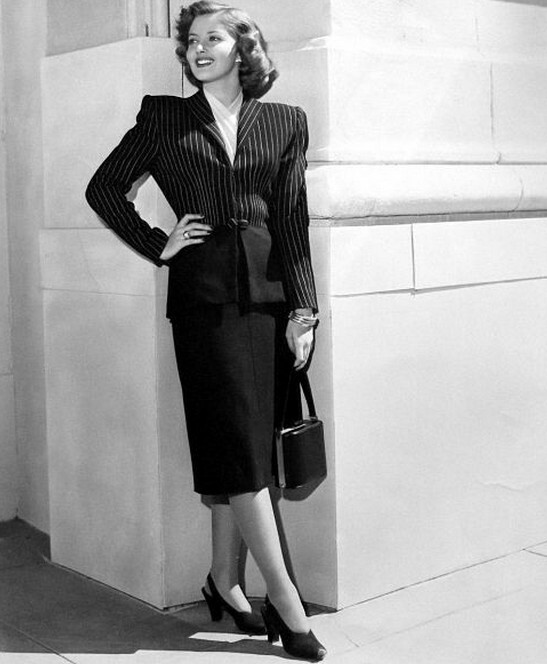 Martha Vickers was voted “Miss Industry 1946” in conjunction with the Home Show. She appeared at the opening ribbon cutting ceremony on July 12, 1946. 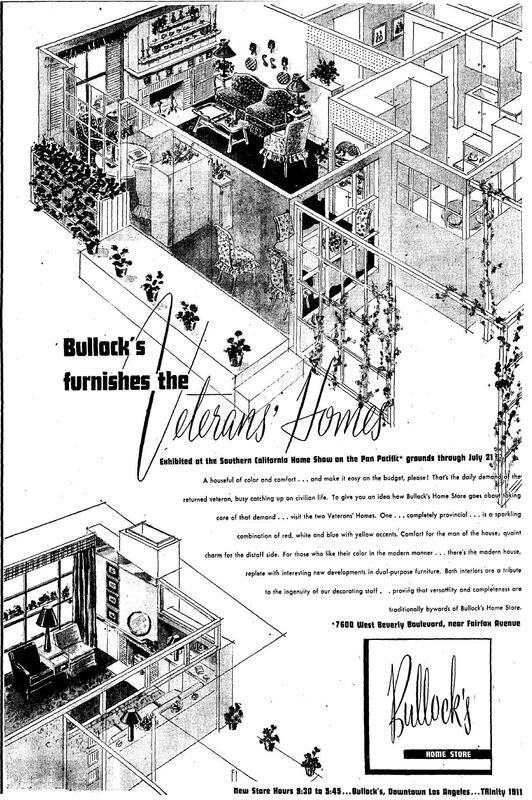 Bullock’s provided the interiors of the model GI Veteran’s Homes for the Construction Industries Home Show, just as they did the Fritz Burns Postwar House on Wilshire Boulevard and later, the “Blandings Dream House” model in Bel Air. “Ask the Veteran Who Bought One.” Prefab construction was another option like this one from Hamill & Jones Production Homes. 5/5/1946. An entrepreneur on Washington Boulevard converted old streetcars into cottage homes. 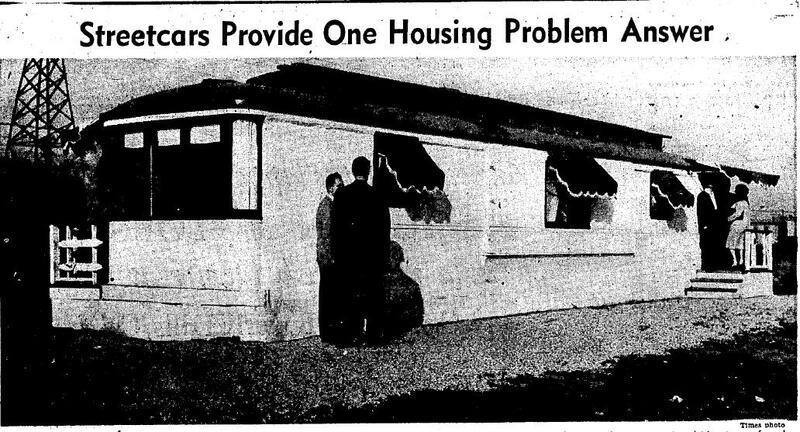 Some war surplus Quonset huts from Port Hueneme Naval Base were used at the federal Rodger Young Village emergency housing project in Griffith Park. In July, 1946 the War Assets Administration offered the remainder for sale to veterans. A windowless model ran around $230, one with four windows was $288. Over 1000 veterans showed up to purchase the 811 available units. Surplus Quonset Huts at Pt. Humne. USN. 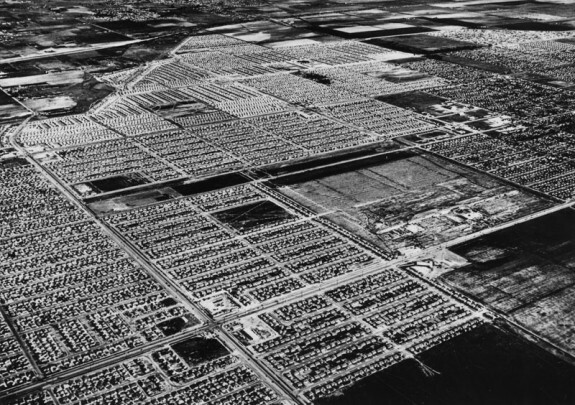 By the end of the year, with more federal projects open and large residential subdivisions underway- Westchester, Westside Terrace, North Hollywood, Hawthorne, Ontario- and as more critical building materials became available, the immediate crisis was eased somewhat. But L.A.s growing postwar population kept hammers swinging busily for the rest of the decade and the next, and the next.